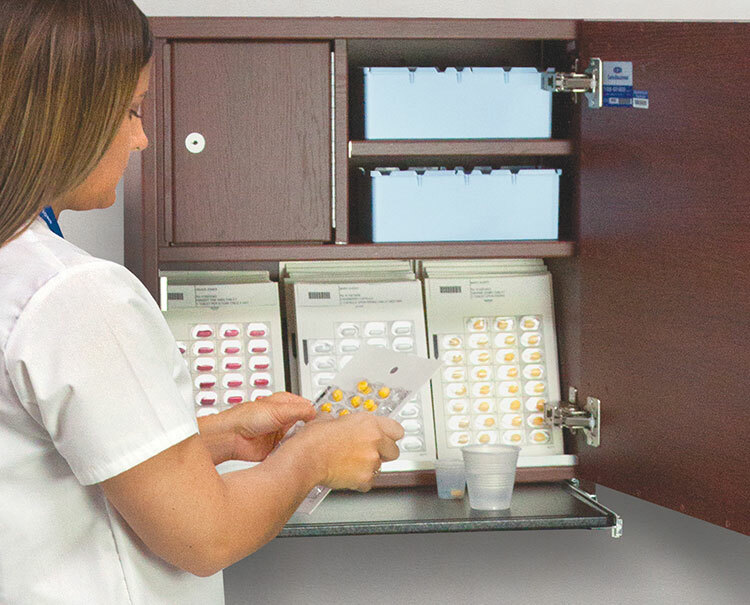 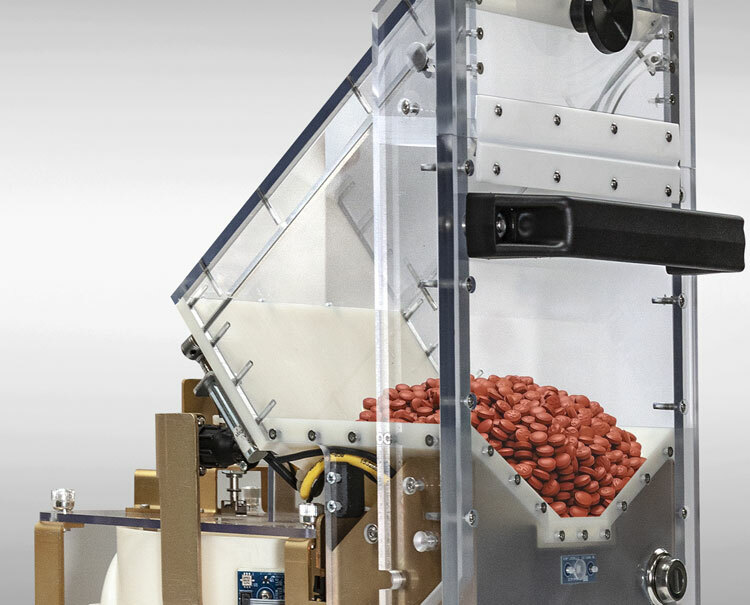 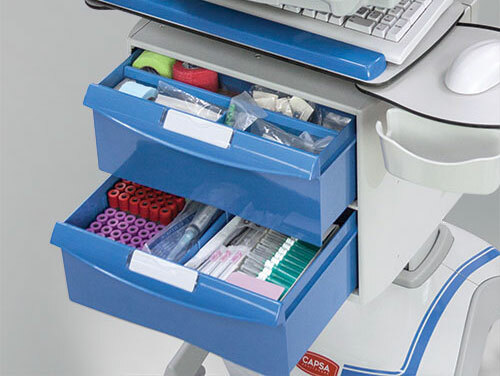 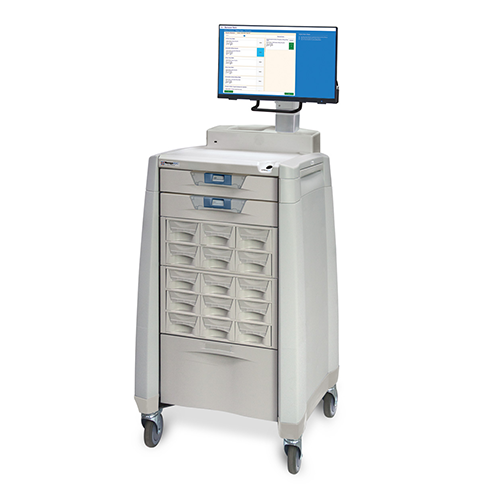 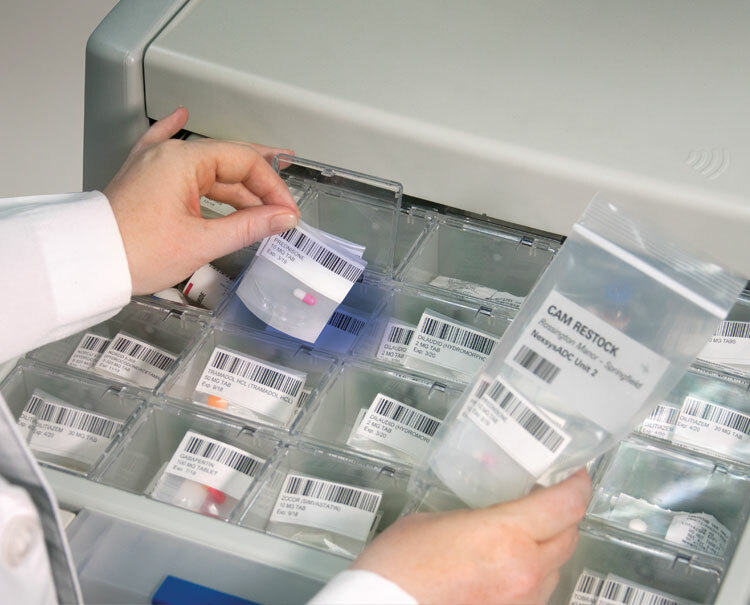 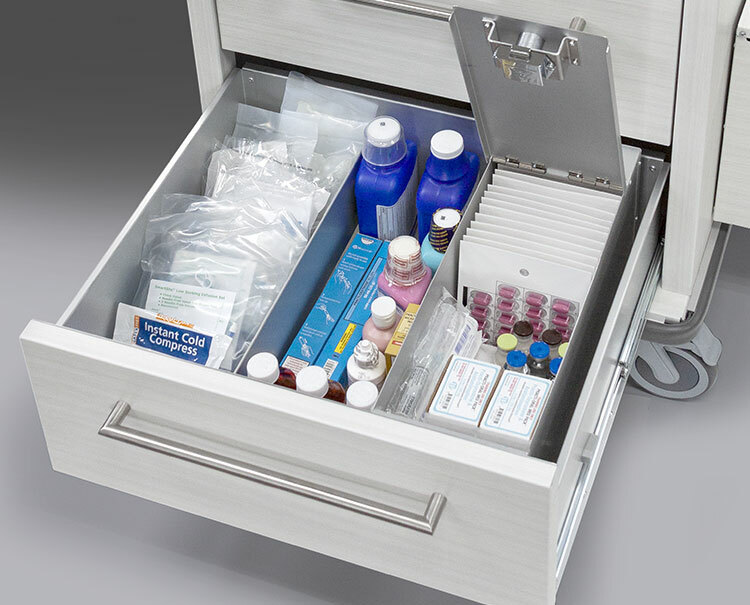 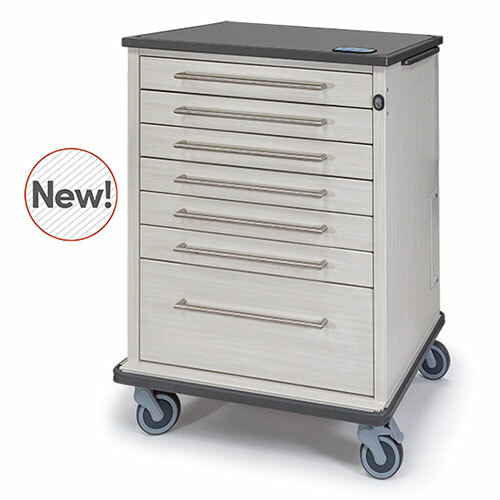 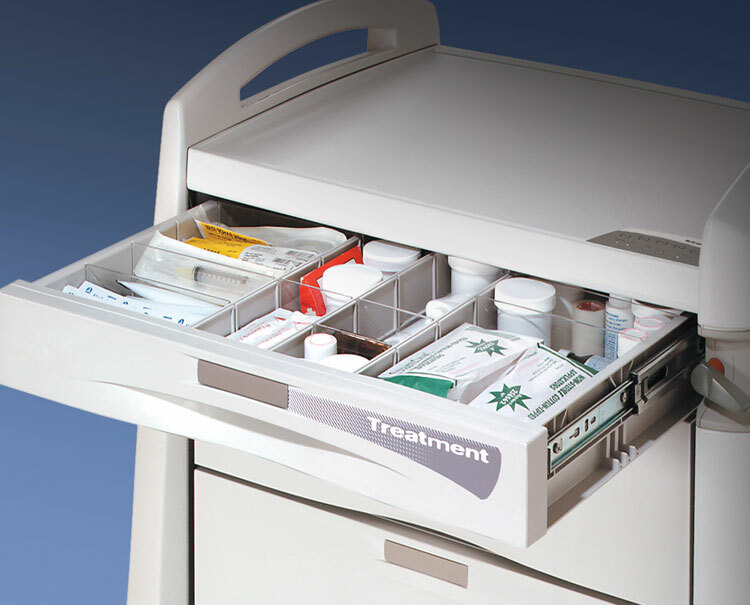 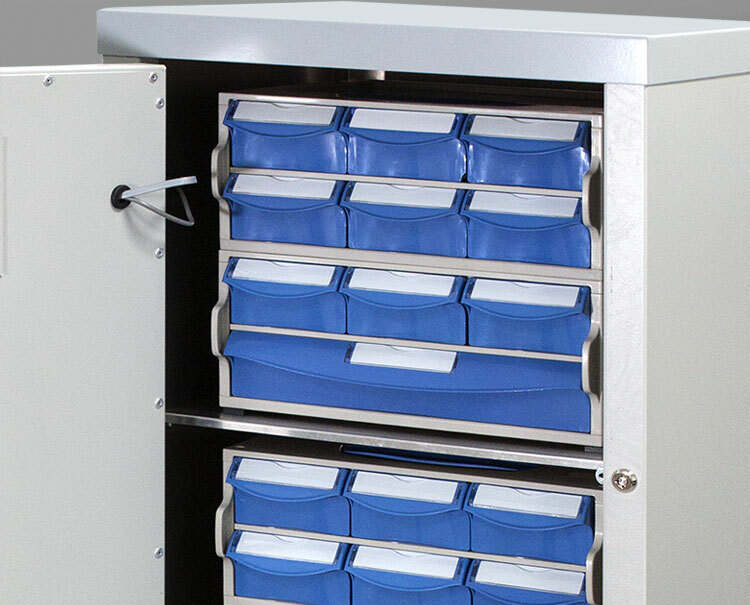 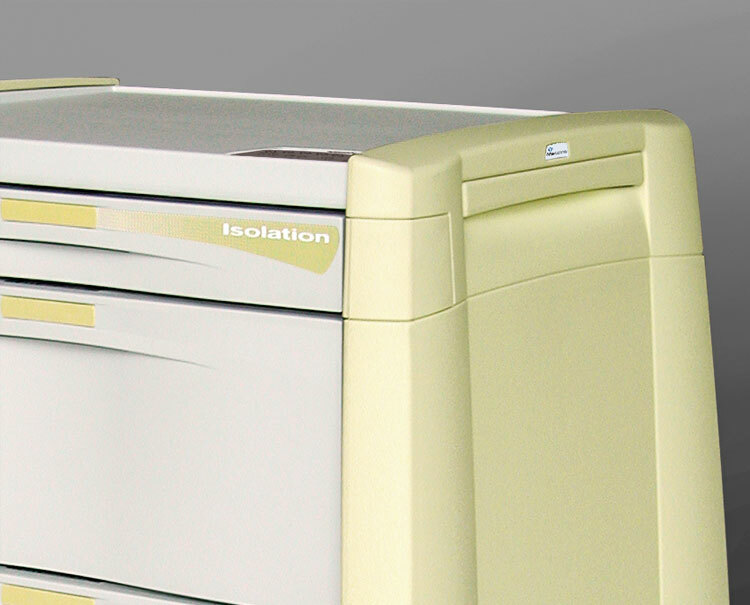 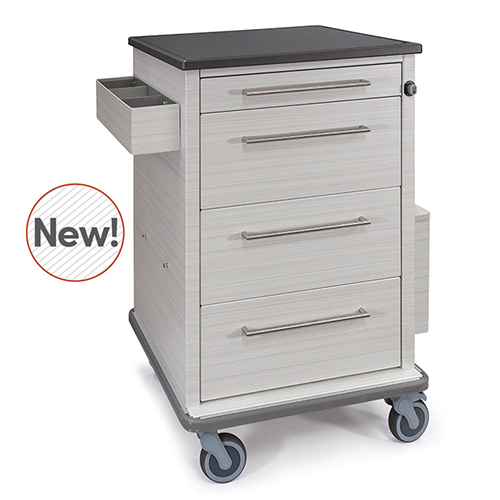 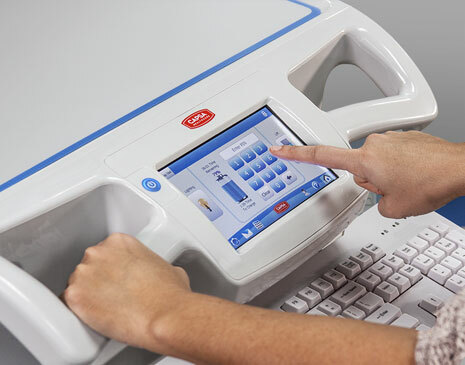 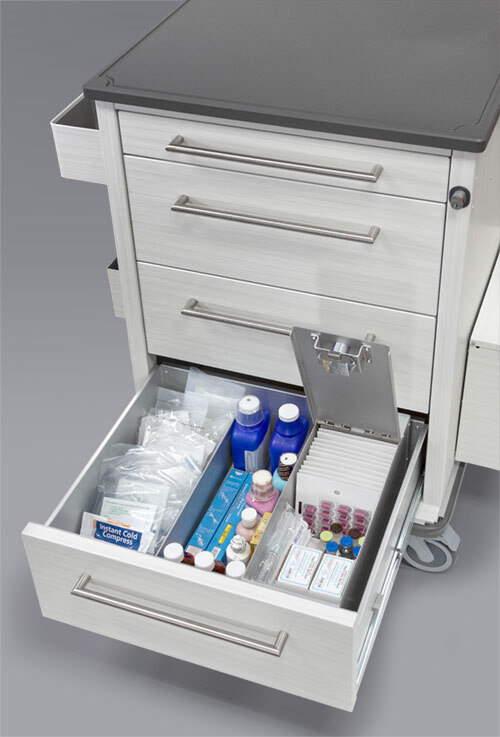 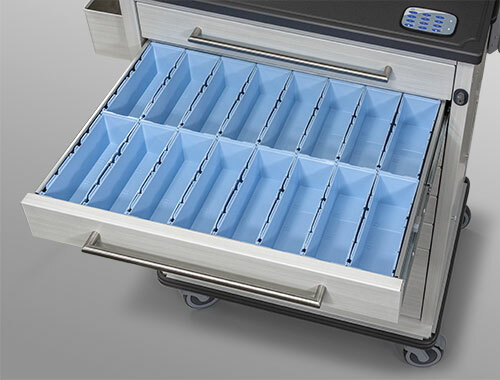 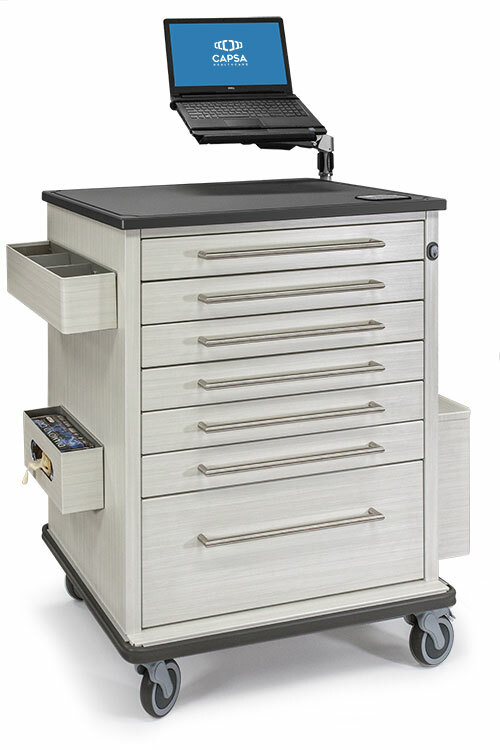 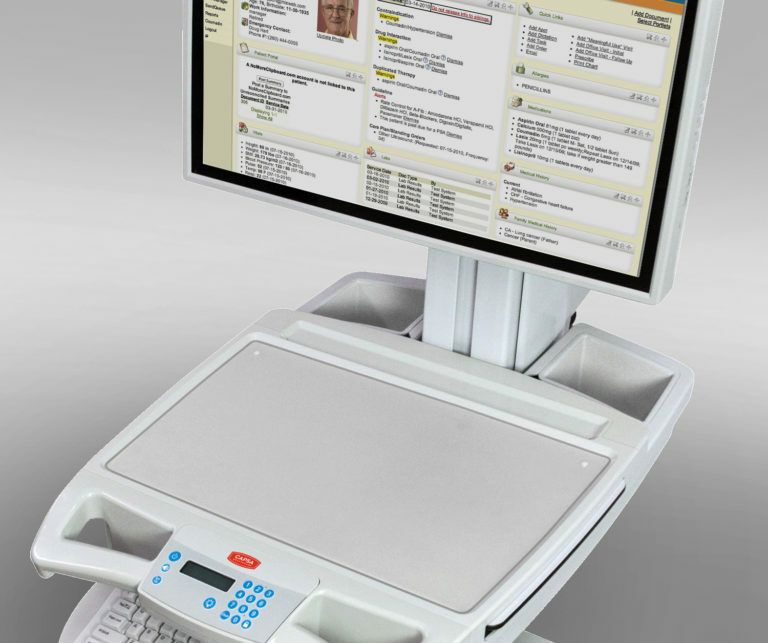 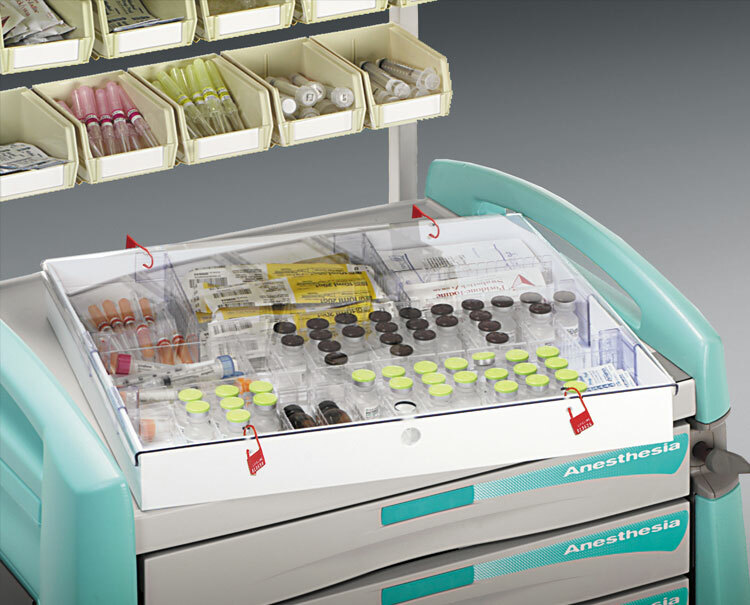 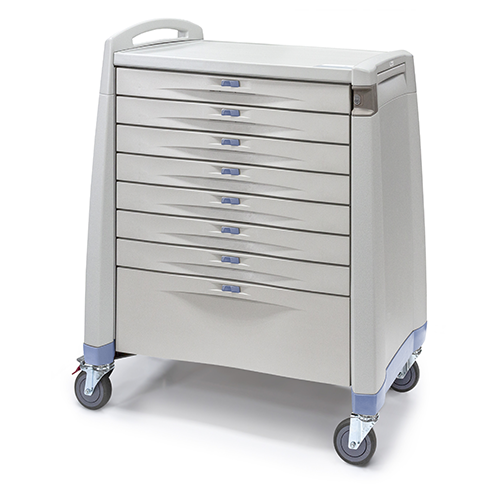 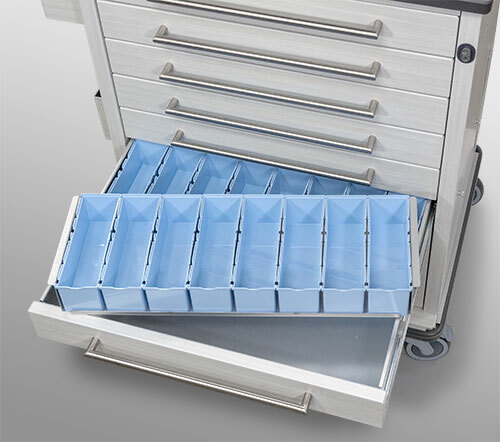 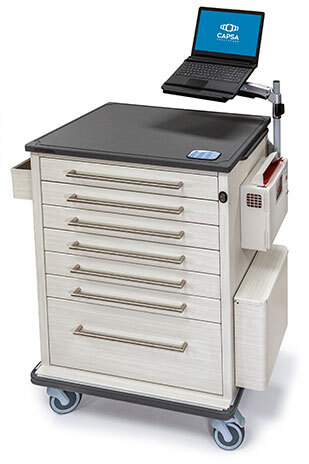 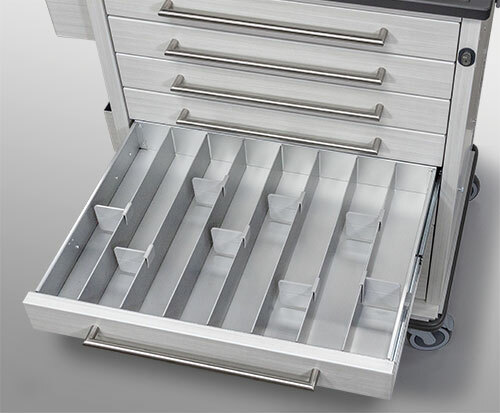 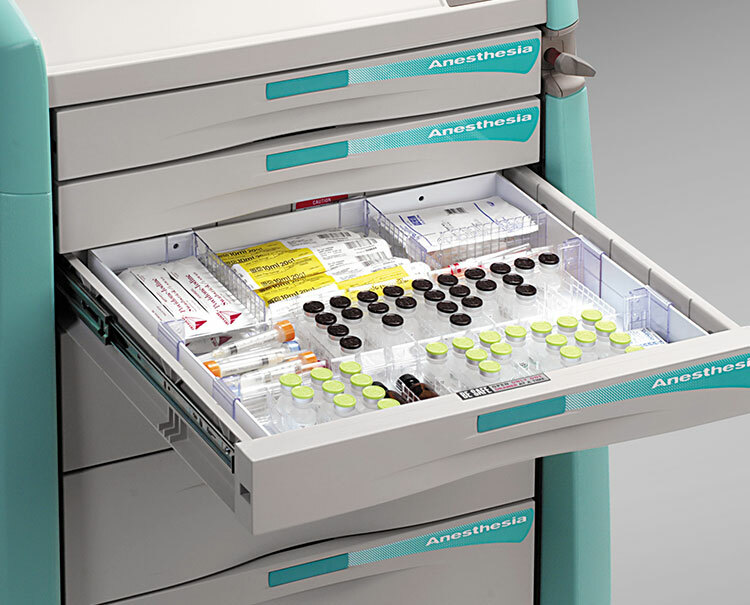 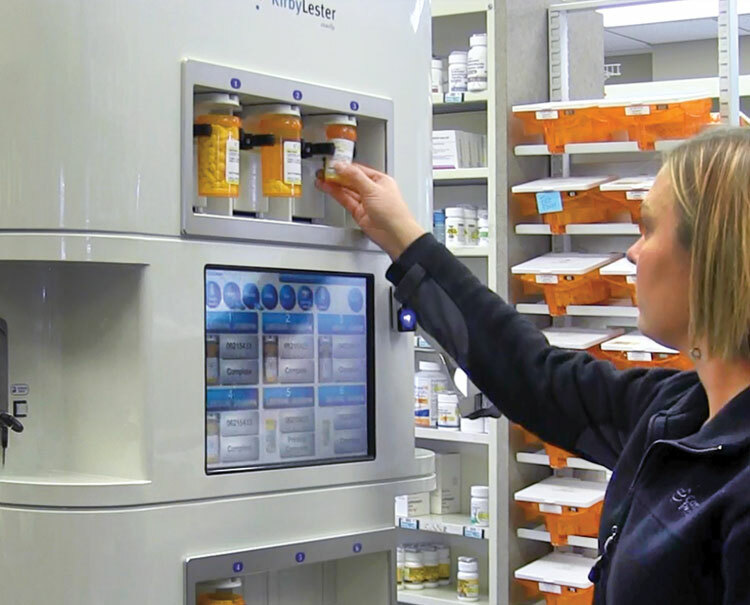 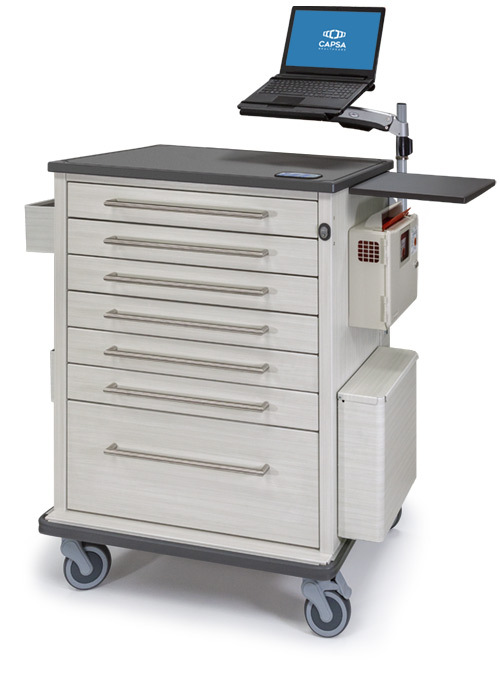 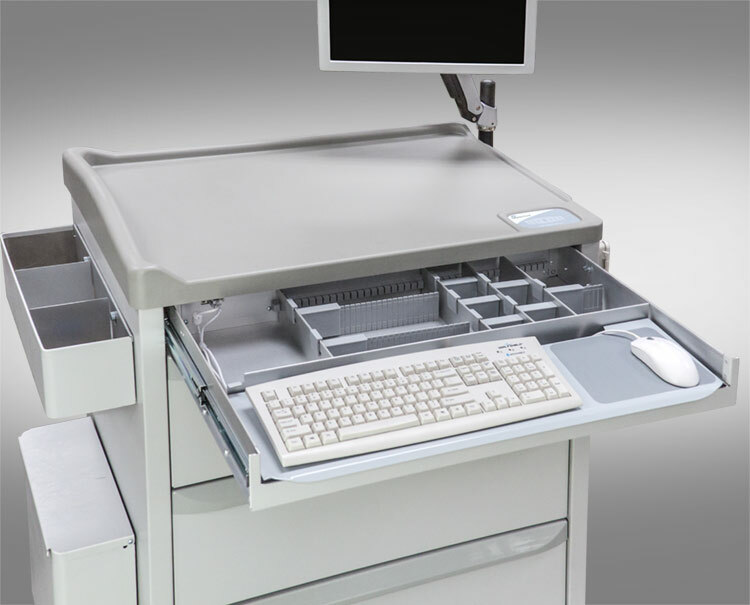 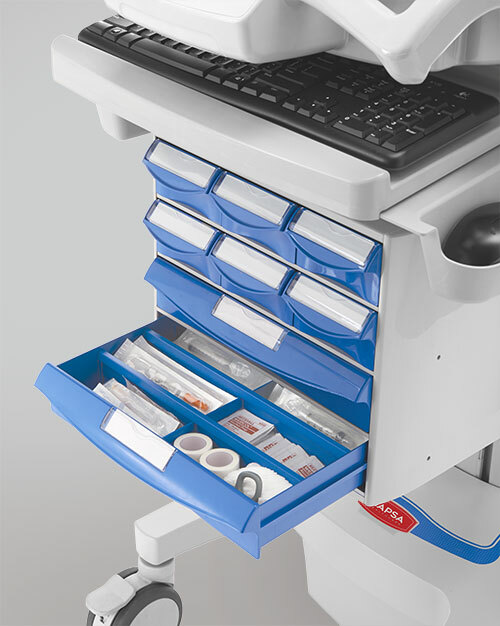 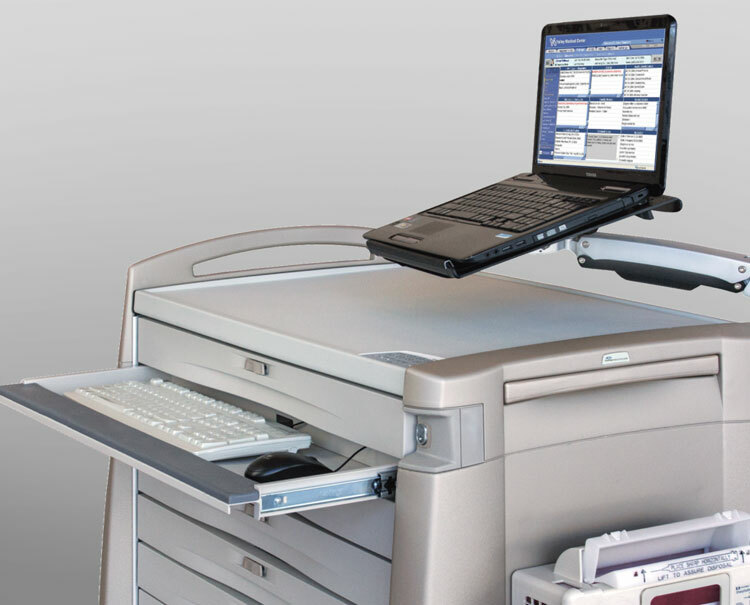 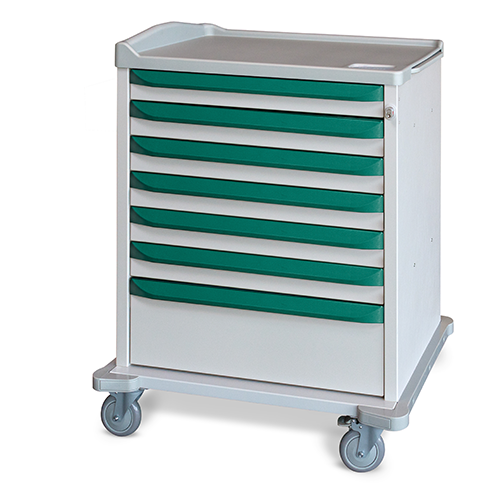 Capsa has evolved the senior care industry’s benchmark for furniture-finish medication carts to efficiently manage medications produced by automated packaging. 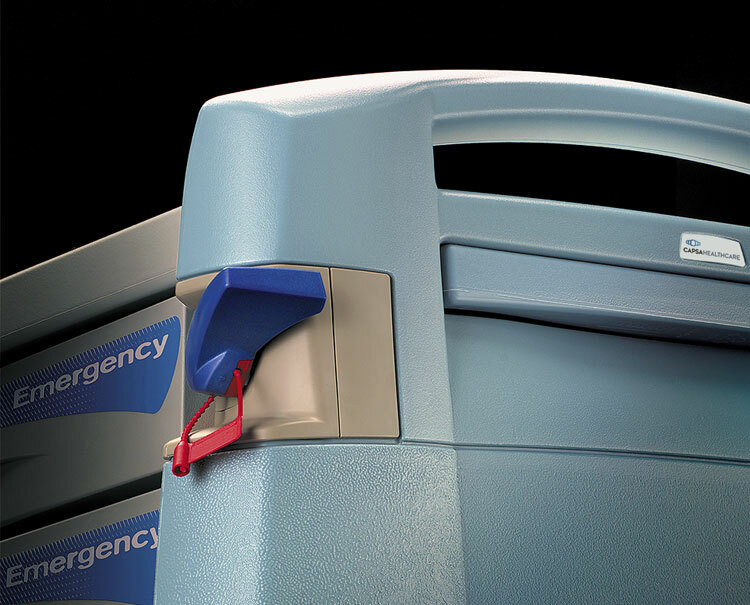 Vintage Encore is a fresh advancement of our classic Vintage Series. 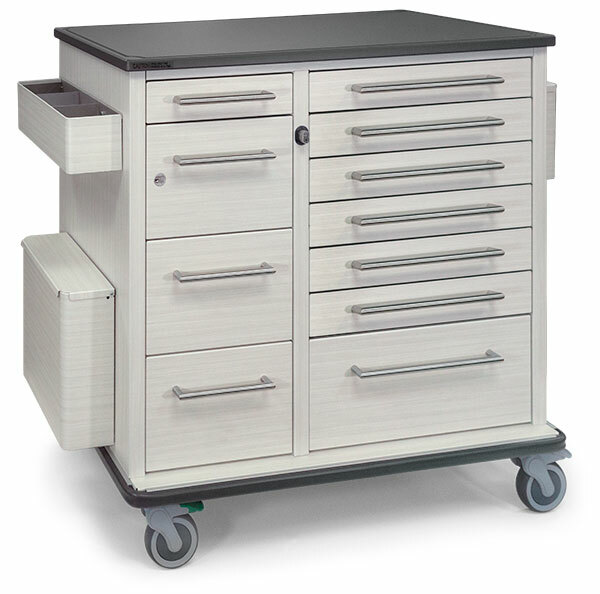 Valued for their durability, security, and capacity, Vintage Encore carts now have enhanced styling and work-saving features. 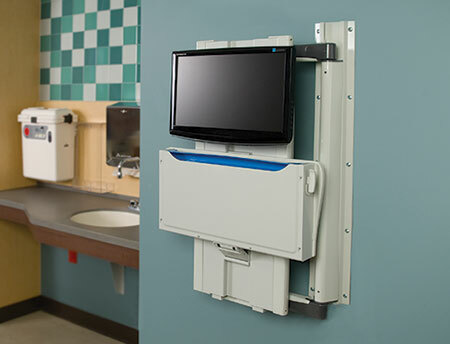 Vintage Encore is ideal for senior care facilities that are focused on creating a warm, inviting environment for its residents and their family members. 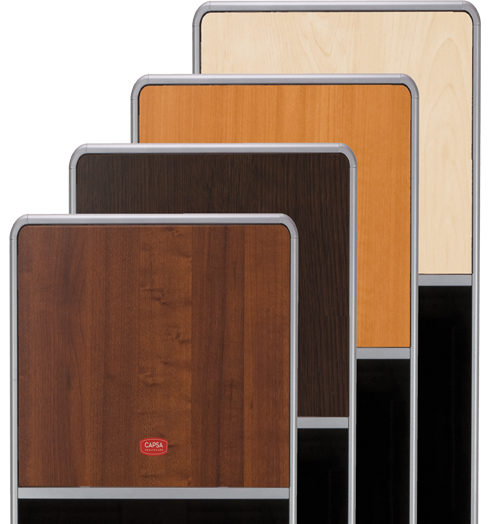 Vintage Encore strikes the right balance of appearance, function, and value in today’s LTC environment. 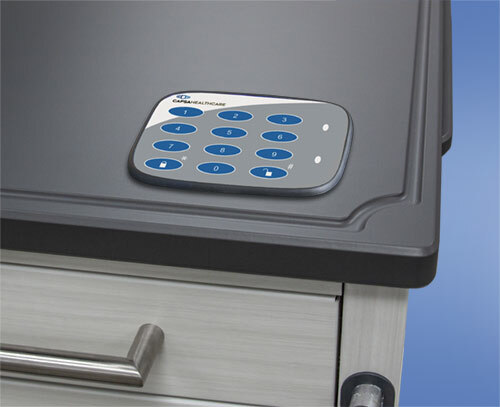 Available in 4 sizes from compact to expansive to suit any resident population. 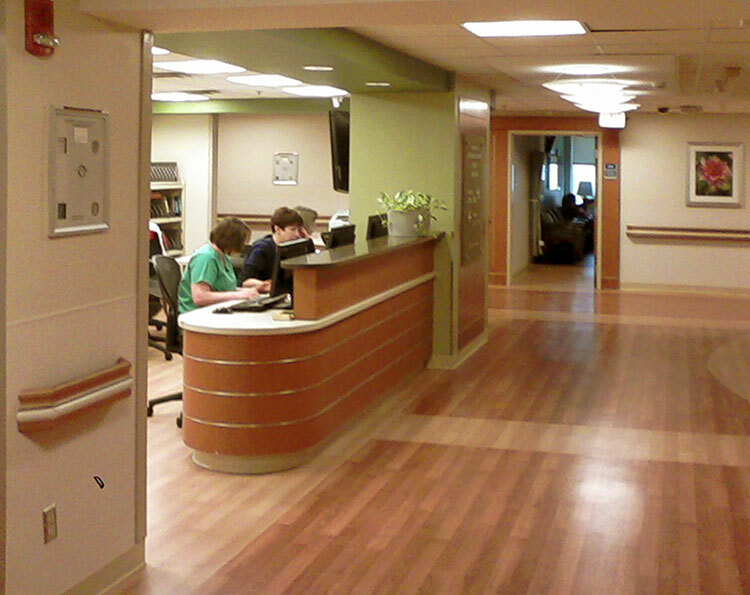 Dimensions: Multiple models to accommodate small to large resident populations. 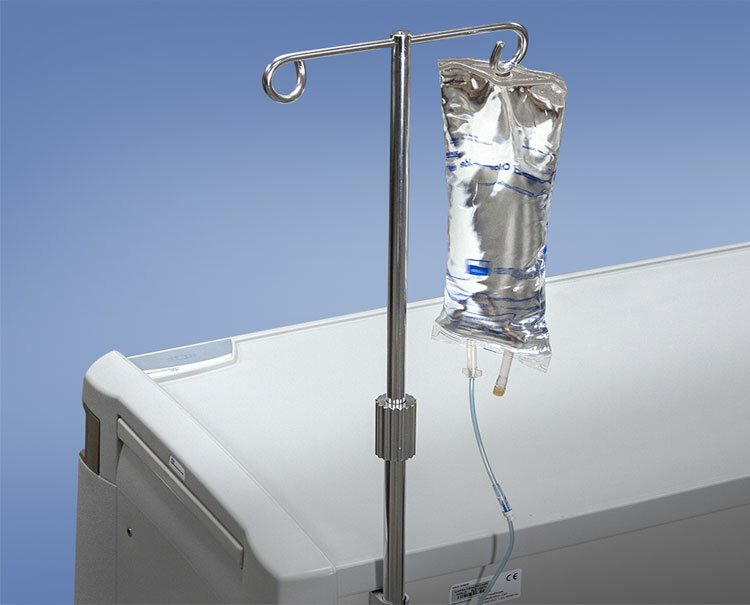 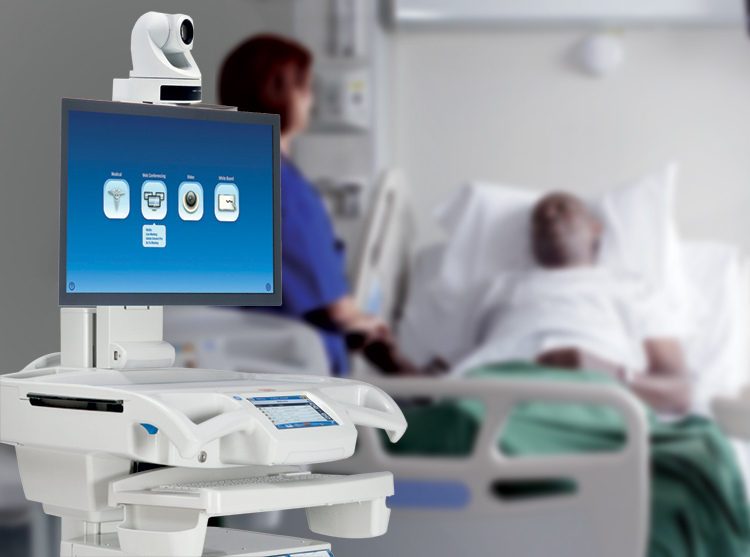 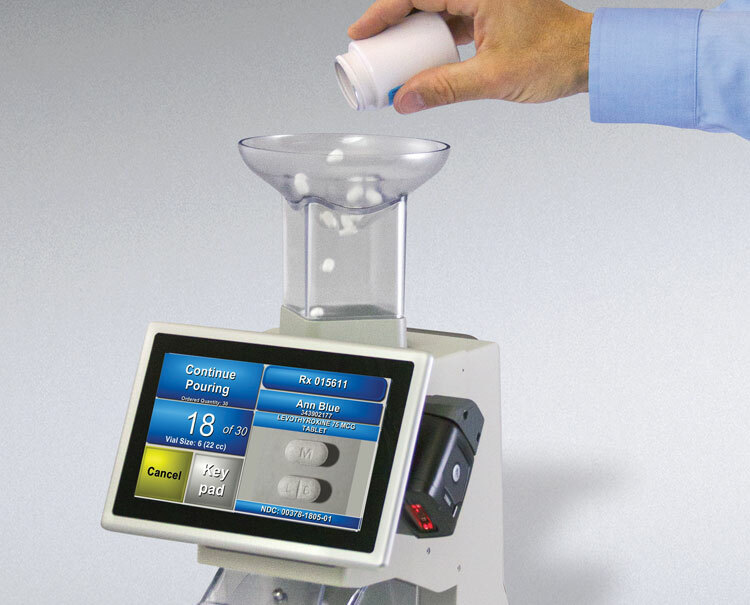 Available for auto packaging, unit dose box, and any other medication delivery system.